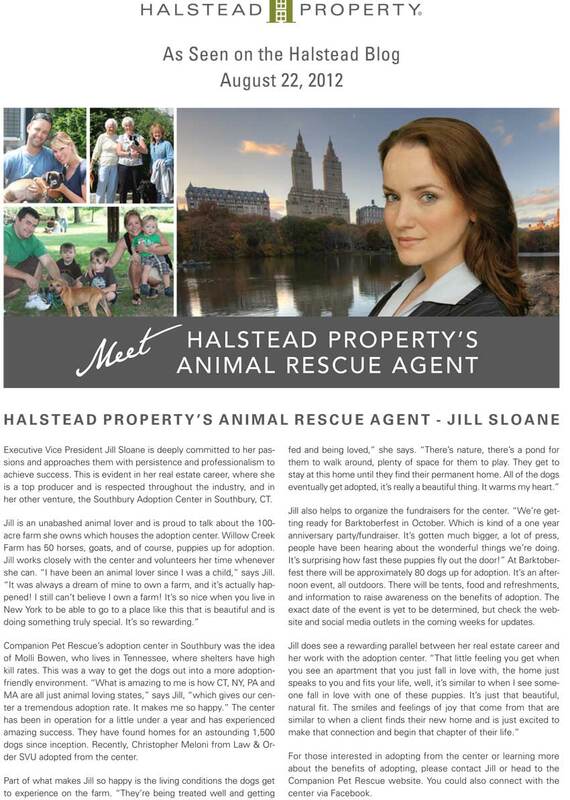 This is a recent article about my passion for saving puppies - below are other nice real estate related TV appearances, just click for the full story and thank you for visiting my site! Below are some additional videos you may enjoy. A recent video about how one should prepare their apartment for a sale! Very interesting, informative, and slightly amusing! A nice feel good video on what sets Halstead apart from the other firms!